This book investigates the dynamic intertwinement of law and morality, with a focus on new and developing fields of law. Taking as its starting point the debates and mutual misunderstandings between proponents of different philosophical traditions, it argues that this theoretical pluralism is better explained once law is accepted as an essentially ambiguous concept. Continuing on, the book develops a robust theory of law that increases our grasp on global legal pluralism and the dynamics of law. This theory of legal interactionism, inspired by the work of Lon Fuller and Philip Selznick, also helps us to understand apparent anomalies of modern law, such as international law, the law of the European Convention on Human Rights and horizontal interactive legislation. In an ecumenical approach, legal interactionism does justice to the valuable core of truth in natural law and legal positivism. Shedding new light on familiar debates between authors such as Fuller, Hart and Dworkin, this book is of value to academics and students interested in legal theory, jurisprudence, legal sociology and moral philosophy. 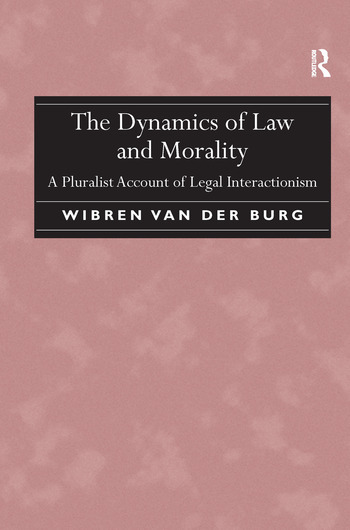 Wibren van der Burg is Professor of Legal Philosophy at Erasmus University Rotterdam, the Netherlands. He has published extensively in English, German and Dutch.